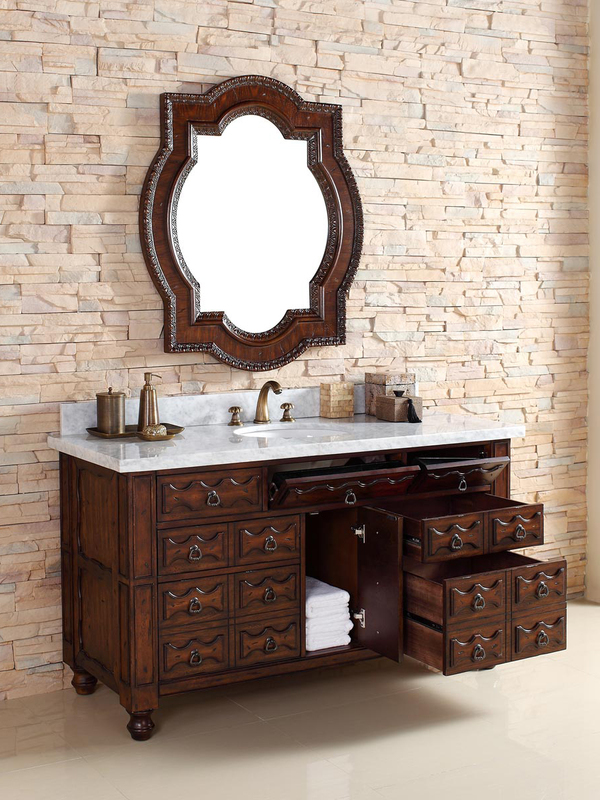 With room on both sides of the sink and plenty of storage room, the 60" Castilian Single Bath Vanity combines a functional design with Old World styles for a worthy centerpiece for your bathroom. 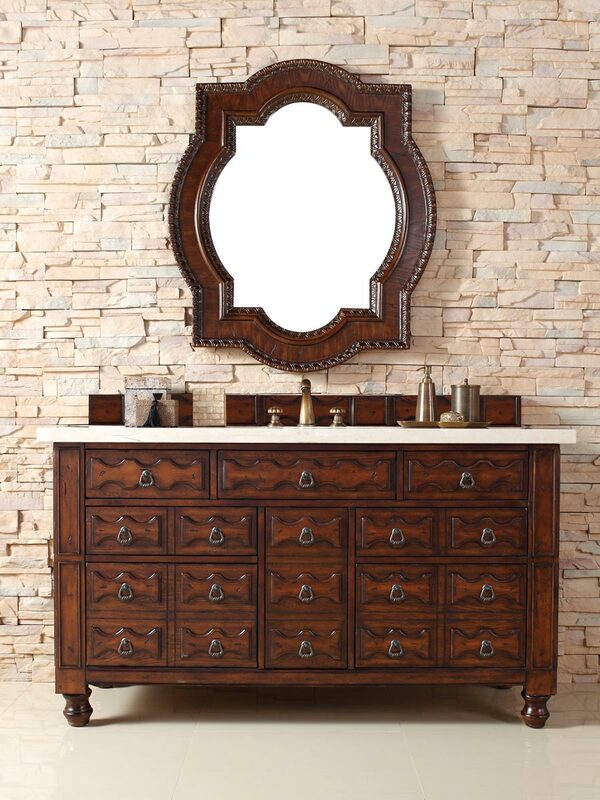 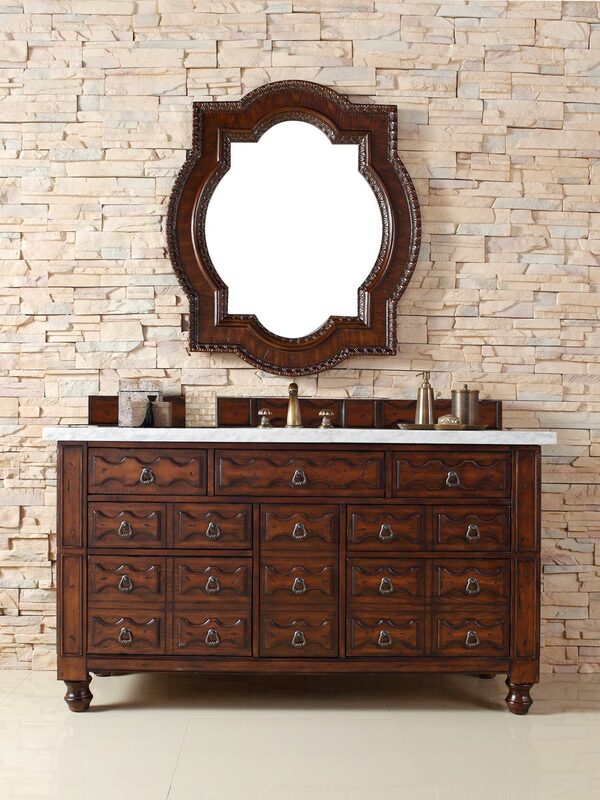 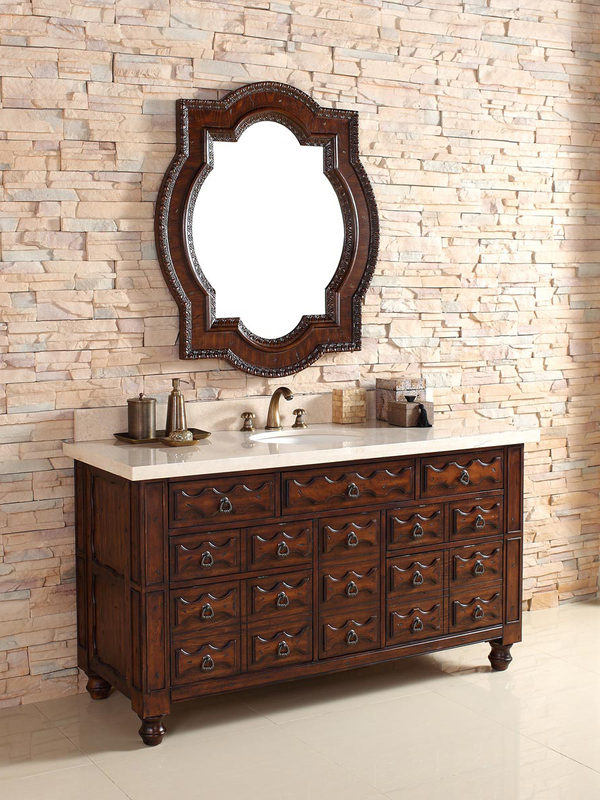 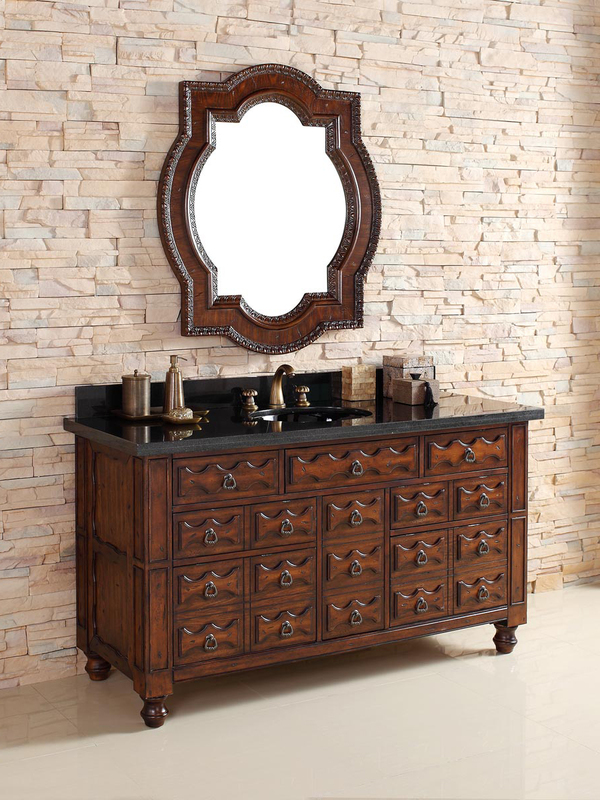 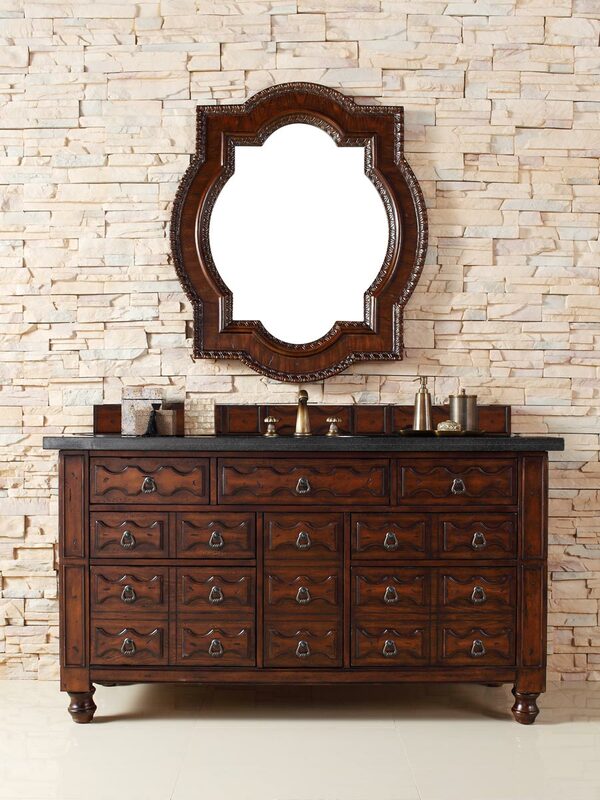 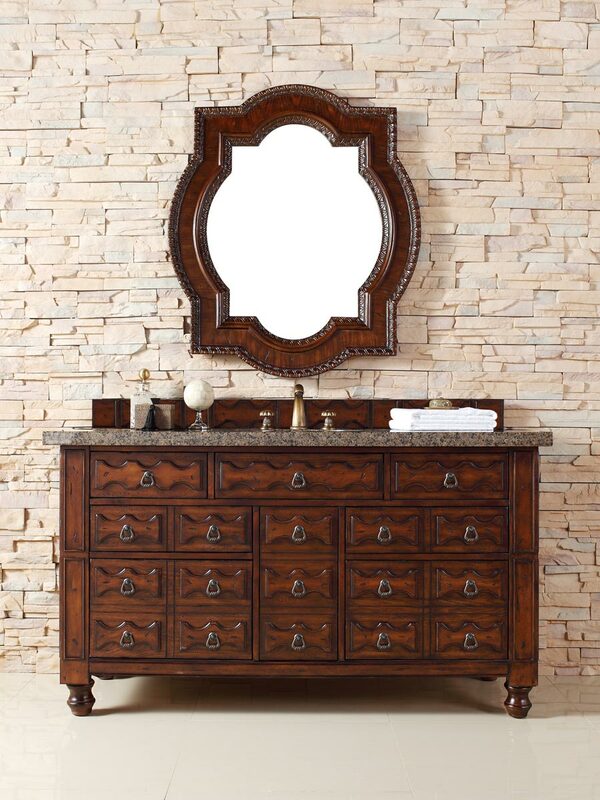 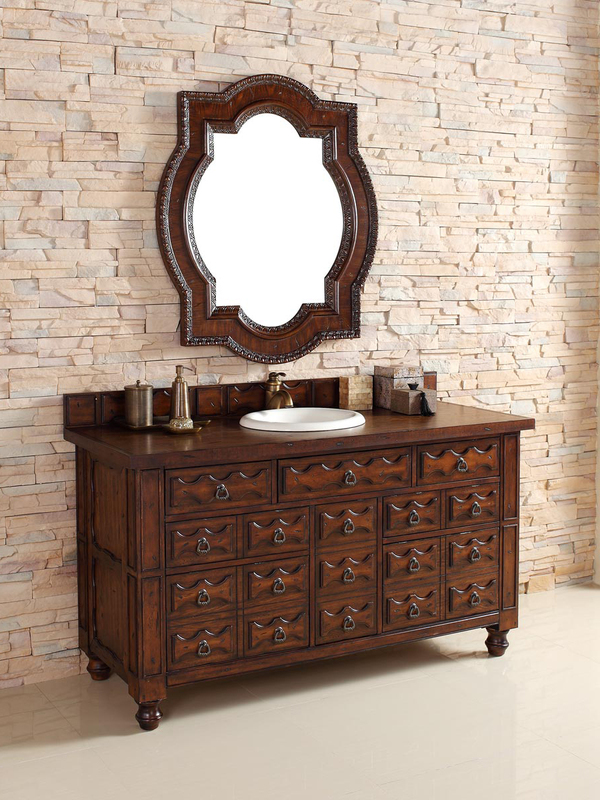 This gorgeous vanity features an Aged Cognac finish with hand-carved designs that have Old World elements exuding in every direction. 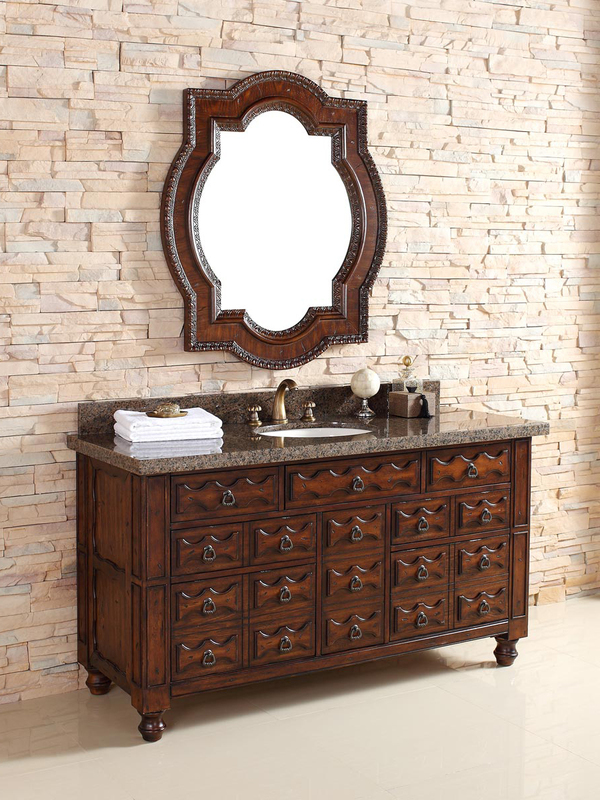 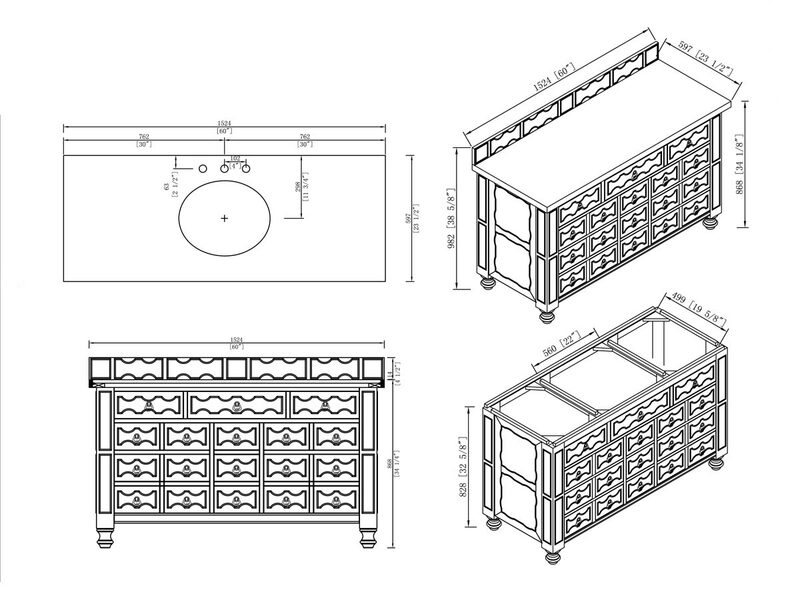 A central single-door cabinet is accompanied with two small drawers, two large drawers, and three hide-away drawers for tons of storage room. 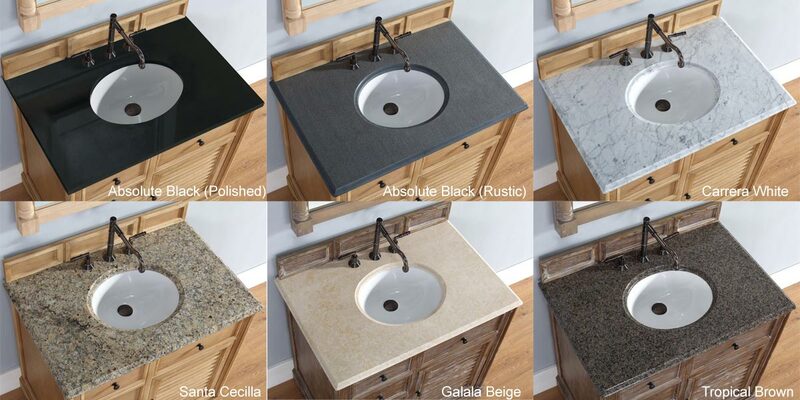 The top is available in 7 different stone options or a matching wood top. 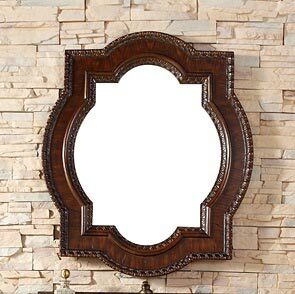 A matching mirror is also available.